ALL AMERICAN WASH & LUBE-KELL BLVD of Wichita Falls provides fast oil changes, featuring high quality Valvoline motor oils and chemicals. We are located at 4206 Kell Blvd in Wichita Falls. Check out our oil change coupons for savings on your next oil change visit. Are you a customer service specialist, looking for a change of pace? 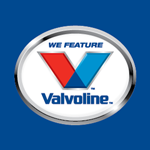 At Valvoline Express Care, we strive to provide the best customer service in the industry and we are looking for you! At Valvoline Express Care, you will learn about preventive automotive maintenance and how to service vehicles, while delivering top level customer service to our guests. If you are interested in working with people, around cars, please stop by or give us a call today! ; 4206 Kell Blvd, Wichita Falls, TX 76309; 940-691-6881. Do you like to work with your hands? Do you love working on cars? Can you provide great customer service? We are looking for you! We are seeking a lube technician for our Valvoline Express Care. Must be willing and able to work in a fast-paced environment, in varying outdoor weather conditions and be able to complete our provided training and certification. If you are ready to learn how to provide excellent automotive service as part of a great team, please stop by or give us a call today! 4206 Kell Blvd, Wichita Falls, TX 76309; 940-691-6881.